This week the weather has improved dramatically, the snow is melting and it finally feels like spring is coming. 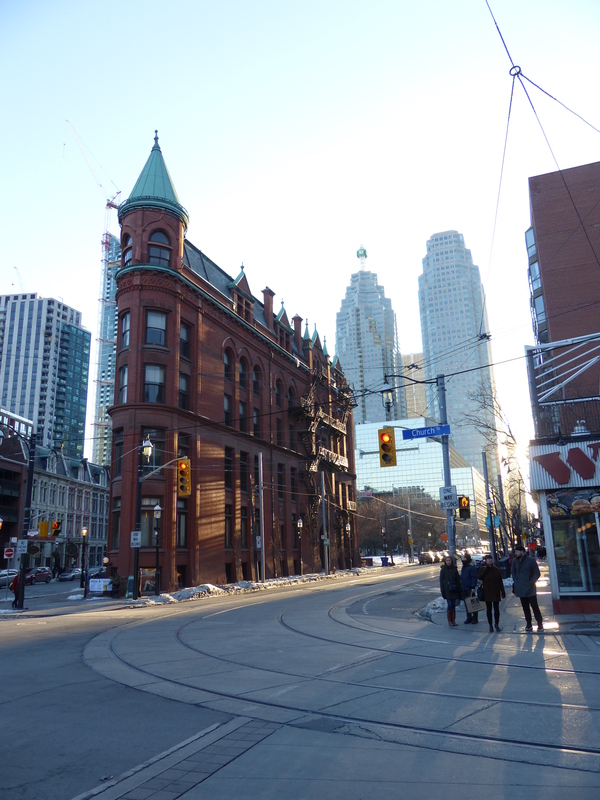 The good weather started last Sunday, when temperatures reached a massive 2 degrees, which seemed so much warmer after experiencing the coldest February on record in Toronto! 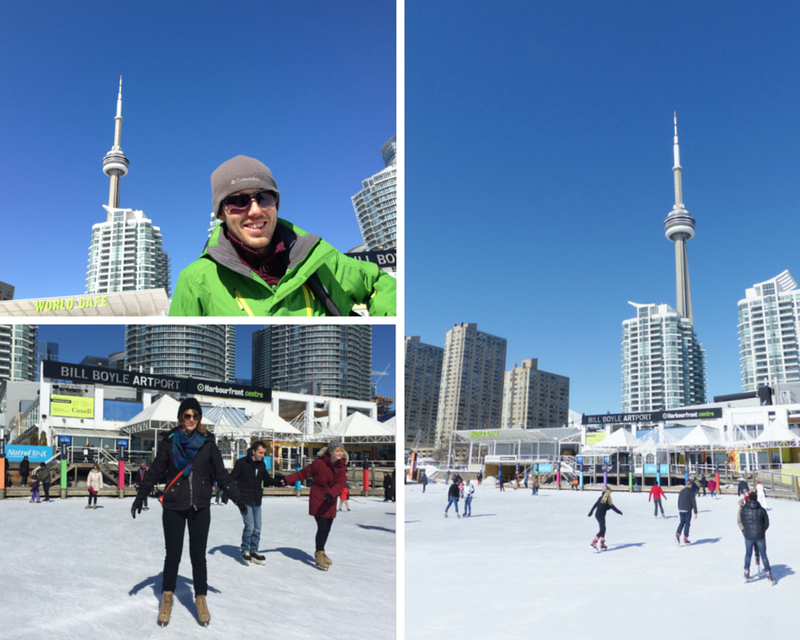 We decided to take advantage of the bright sunshine and head down to the Harbourfront Centre to do some ice skating. 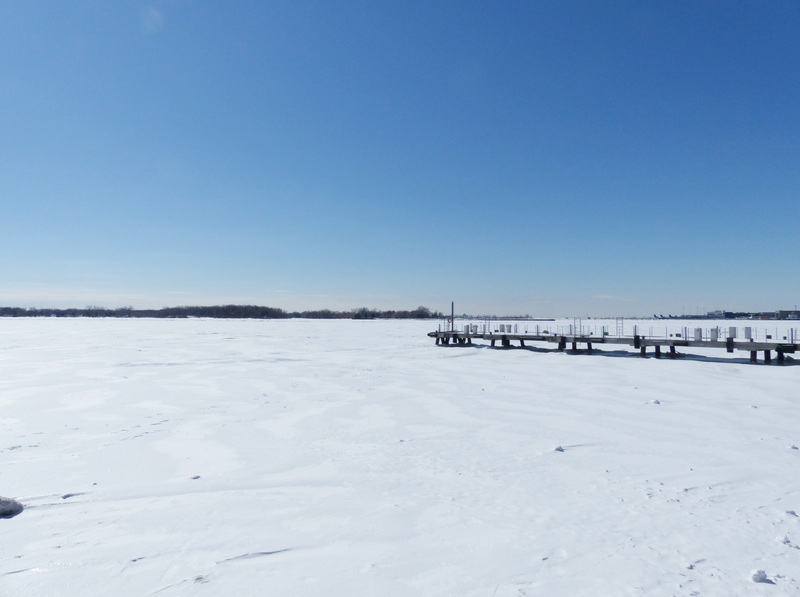 There are lots of free ice rinks dotted all over Toronto but the Harbourfront boasts the ‘most scenic rink in the city’ being, as the name would suggest, right on the shores of Lake Ontario. It’s also one of the few rinks to offer skate hire, which we of course needed. On arrival we headed straight to the Lake, to take in the views and bask in the sunshine. Basically anything to avoid having to actually go onto the ice rink WHICH HAD NOTHING AROUND THE EDGES TO HOLD ON TO! Eventually we decided we couldn’t back out and were just going to have to go for it, so we paid for our skates and tentatively sat on the edge, wondering how to get started. After a few goes round we got the hang of it, of course we were the worst people there and there were lots of very young children whizzing around but who cares, we enjoyed ourselves. The best part being that I have finally found a sport that I am better than Stewart at! 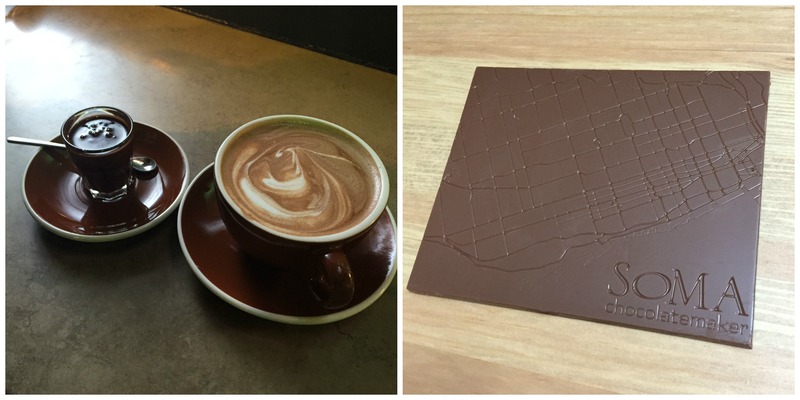 Next up on our day out was a visit to the Soma Chocolatemaker shop in the Distillery District. 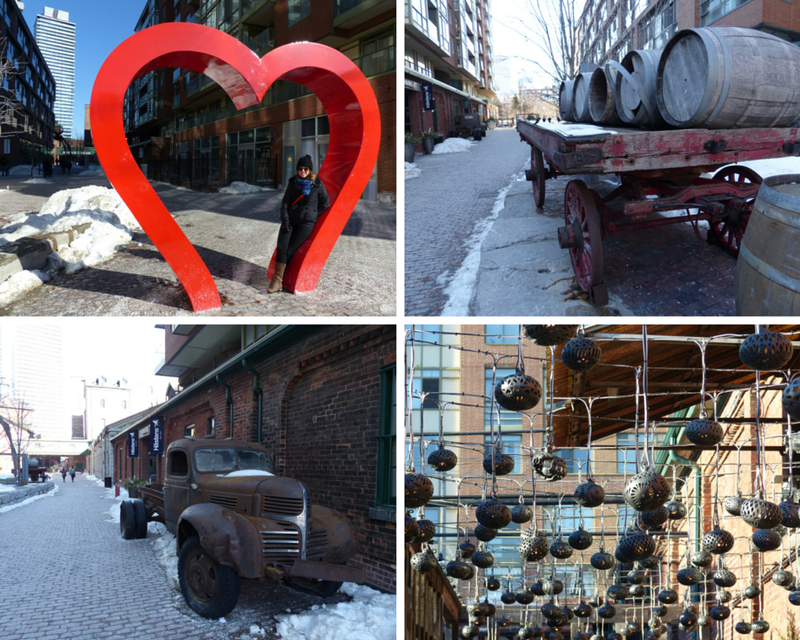 We briefly popped in here on our first trip to the Distillery District but were put off by the high prices and not knowing if it was worth it or not. Having seen the huge queues on recent trips and read about its reputation as the best chocolate shop in Toronto, this time we made a special trip to give it a go and were not disappointed. As well as selling lots of yummy looking chocolate, including some very cute Easter bunnies, it has a small café. Stewart ordered a traditional hot chocolate whilst I went for a shot of melted chocolate, since I don’t like my chocolate to be watered down! Both were very good so we decided to buy a small bar of milk chocolate to sample at home too. The drinks and chocolate slab didn’t last long! 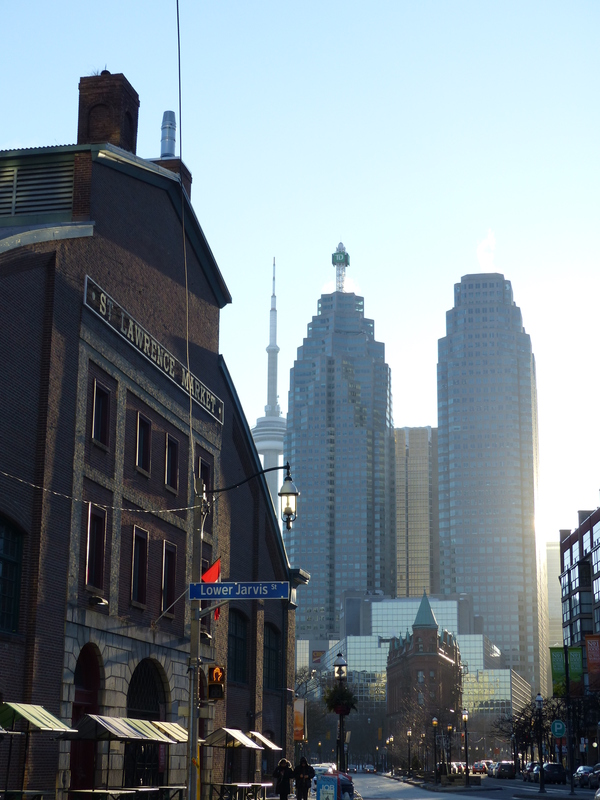 On the way home we walked past St Lawrence Market as the sun was going down so Stewart took the opportunity to take some good shots. Previous Previous post: We’ve signed up to the WWF CN Tower Climb – please sponsor us!